Please enjoy today’s Dynamic Curation from the community called The Dynamic Steemians. We are a community that is based on a discord server. 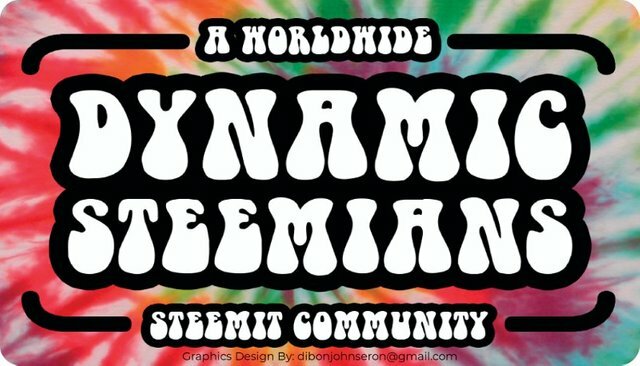 This community is all about Steemit and providing a space/community to help support all Steemians alike. This community supports each Dynamic Member’s content by allowing for a community vote to those who participate in our community. This helps to encourage engagement on Steemit and the activity there. Simply by sharing your posts in our post promotion areas, our curation trail, @dynamicsteemians, supports Dynamic Members Steem content. @dynamicgreentk monitors content for potential spam and low quality content, future considerations for a blacklist feature, possibly through @buildawhale, will be considered especially as the price of Steem rises and more low quality content as well as spam emerges. This Dynamic Curation will be an attempt at bringing greater recognition to our Dynamic Members content and our community. I do hope you find our Members content valuable and entertaining enough to visit their content and further support them with at least a comment and a upvote if you so please! @iamjadeline is participating in the #ulog movement for the very first time with a post that is sure to put things in perspective for most. 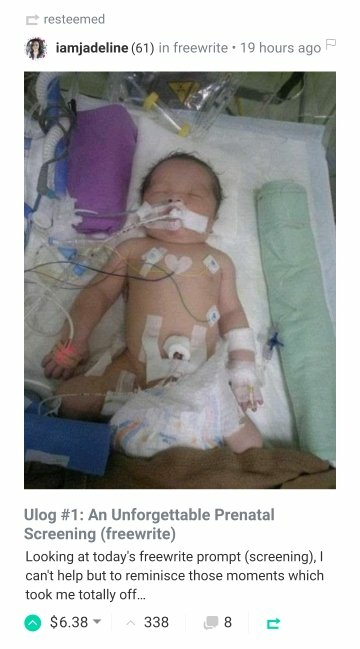 She has a wonderful blessing with her son who suffers with a disease he has had since birth. She is not asking for anything here like most would or in this case I think should. The way she tells the story about her son is heartwarming and extremely positive. It's great to see a person approaching a situation like this with such strength. I really want you to visit this post and at least show support with a comment, resteem, or anything to show support. 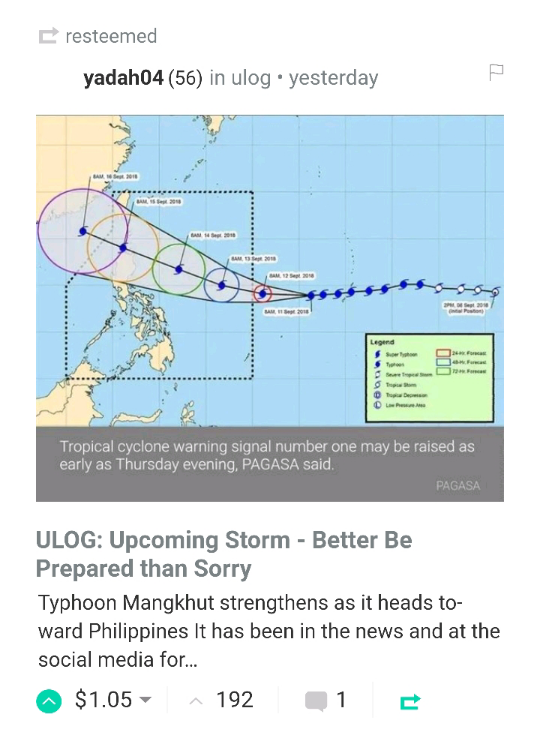 @yadah04 reminds everyone in the Philippines to prepare for a huge hurricane coming right at them this weekend. This thing is huge. The last thing this country needs is, especially with all the rains they have already received this year. Thank you for the awareness on this issue @yadah! 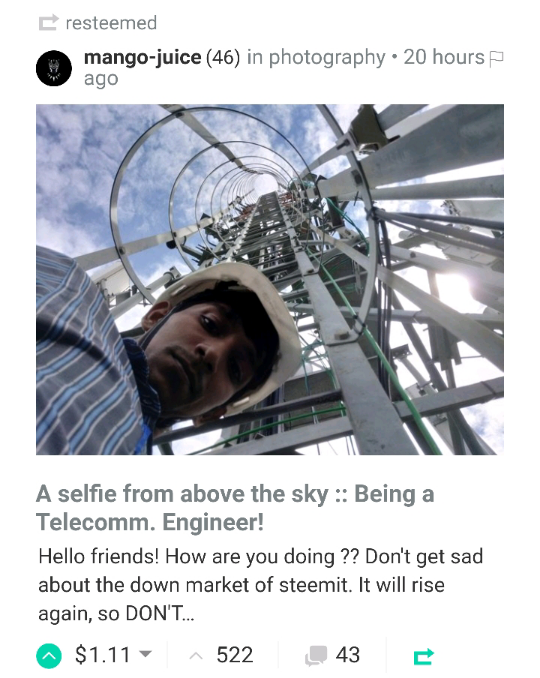 A selfie from above the sky :: Being a Telecomm. Engineer! 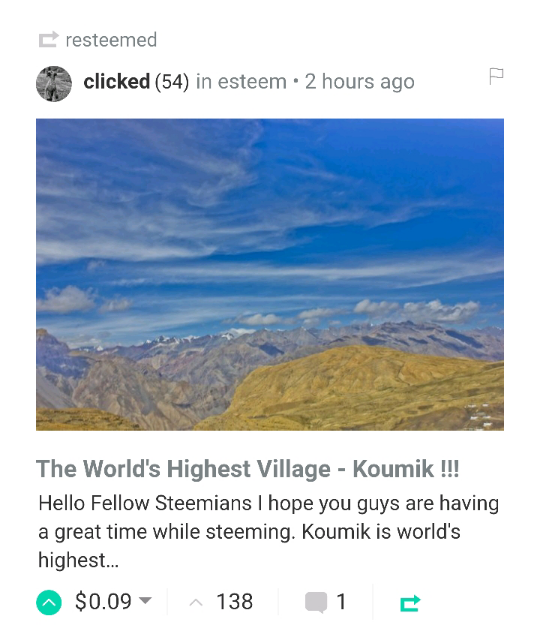 The World's Highest Village - Koumik !!! @clicked went to the highest village in the world, placed at 15,500 feet above sea level on a mountain. The pictures are of a Buddhist monastery in this post. This was a very visually entertaining post. I suggest visiting this post to get glimpses into a civilization living in the clouds. @bananamemos has another charming and delectable post about her banana people! 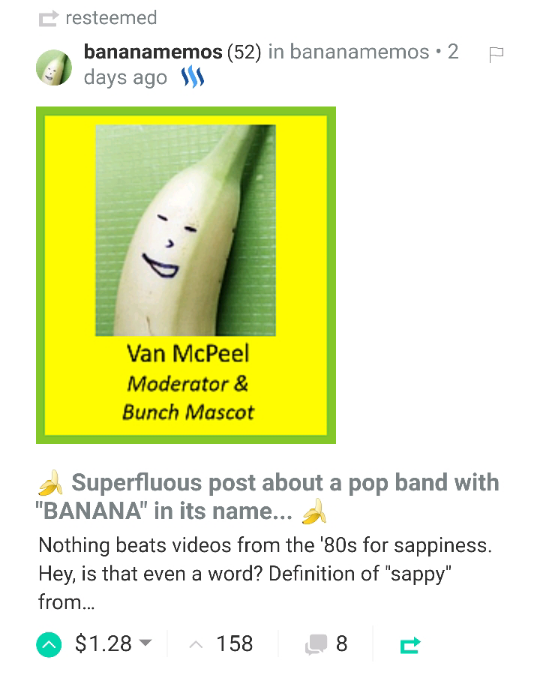 She has a cast and crew of bananas, in this post she pays homage to the pop group called BANANARAMA. This is a light hearted post sure to bring a smile to your face. Thank you @bananamemos for this fun post! You guys are doing a great job there... Helping the planktons and minnows by giving them your helping hands, i m so much greatful to @dynamicsteemians as they are giving me the opportunity to grow and become a big blogger in future. We believe in 'together we can grow' ! We love you man! I'll never forget that Chuck Norris meme! Haha! That meme! I also enjoyed it very much! Thanks for your help daynamic... Appreciate it very much! You got a 14.30% upvote from @upmewhale courtesy of @dynamicsteemians! This post has received a 14.42 % upvote from @boomerang. You got a 6.57% upvote from @postpromoter courtesy of @dynamicsteemians! Thanks for the mention and the re-steem! Thank you I needed that! May you travel safe and find safe shelter out there with power!